We all love flowers, especially in the Spring. 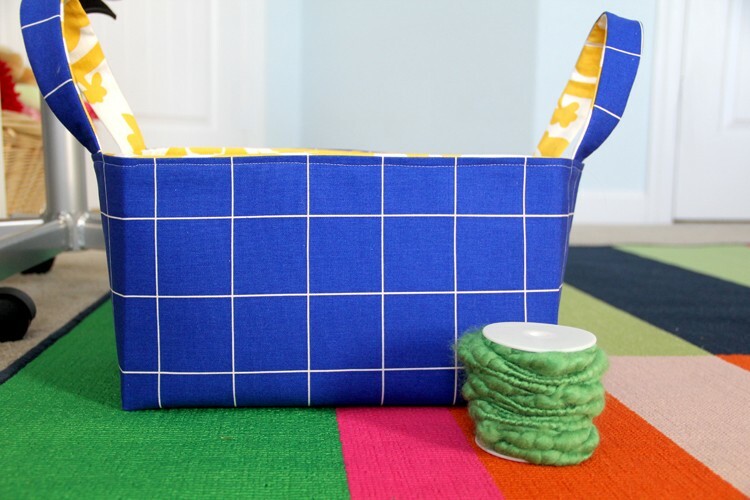 Here are a couple ways to use some scrap fabric, while giving a floral gift to someone you love. 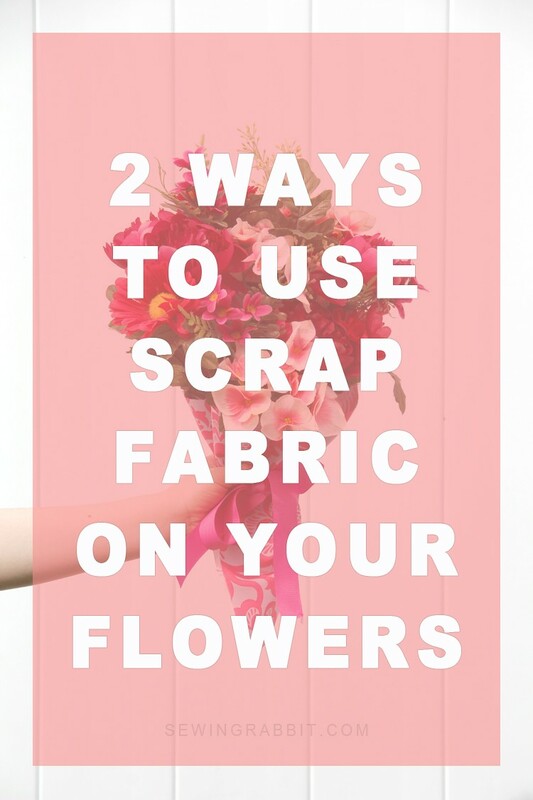 2 Ways to Use Scrap Fabric for your Flowers. 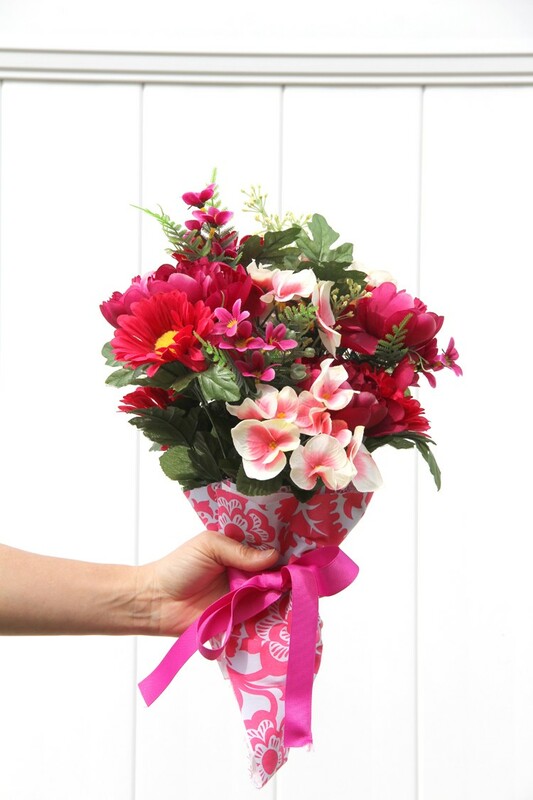 Use scrap fabric to wrap around flowers! 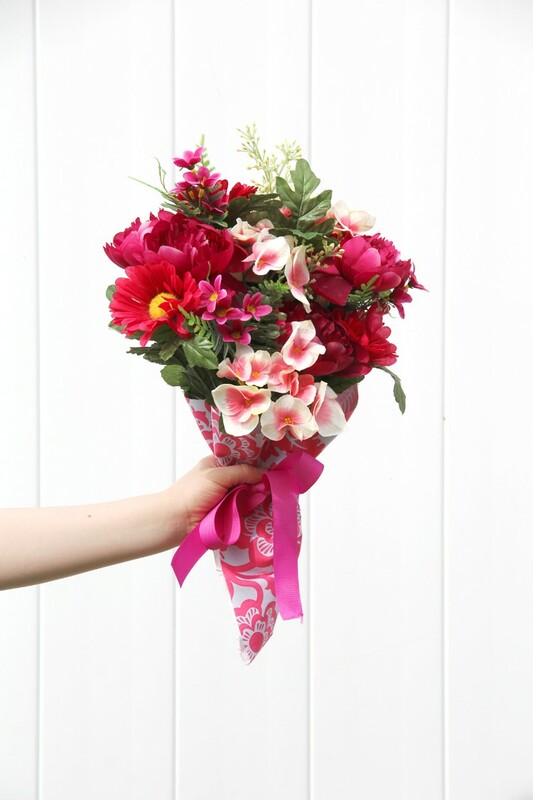 Use a long piece of thin fabric to wrap around the bottom stems of your flowers to give the perfect scrappy bouquet! 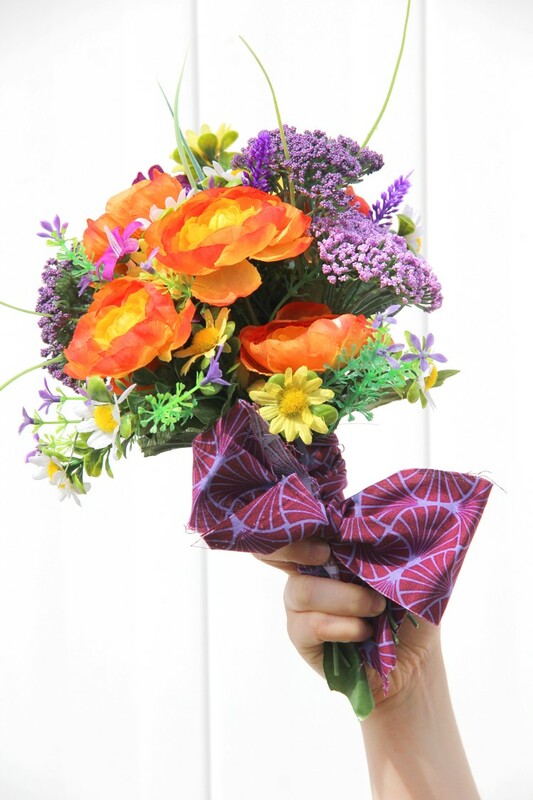 Simply wrap the fabric ribbon around the base of your flowers a few times and pull tight, then tie a bow in the front! 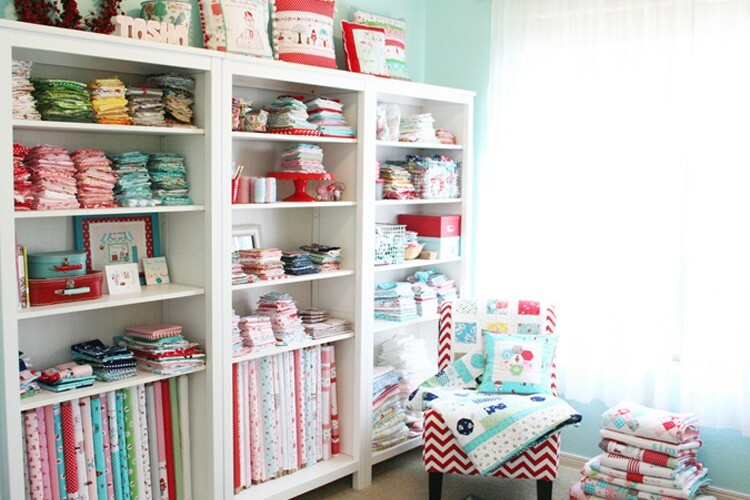 The fun part is finding a piece of scrap fabric that matches the flowers…it is like the ultimate in textile matching. 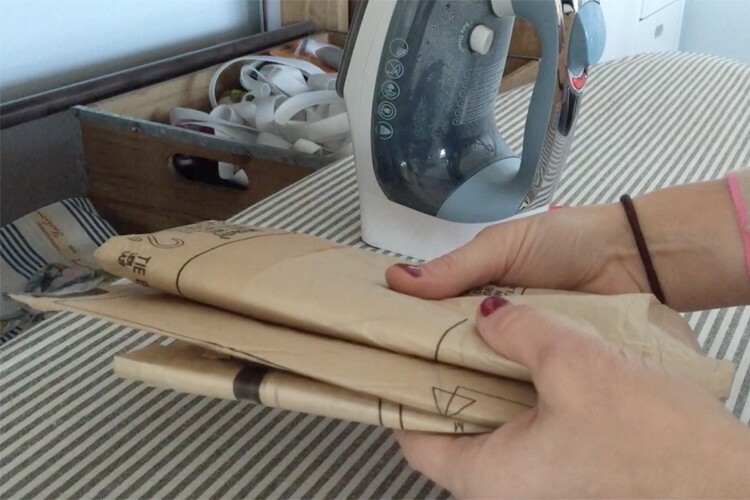 Using a fat quarter of fabric, iron the shiny side of the freezer paper directly onto the wrong side of your fabric. 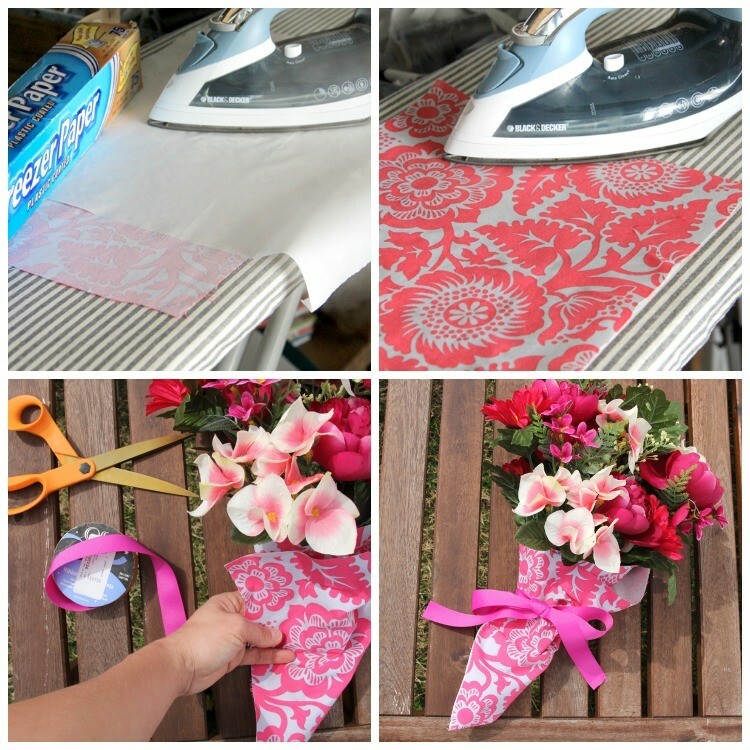 Once finished, trim the fabric all around for a nice, clean edge and then simply wrap the fabric around the stems of your flowers. Tie with a ribbon to secure. 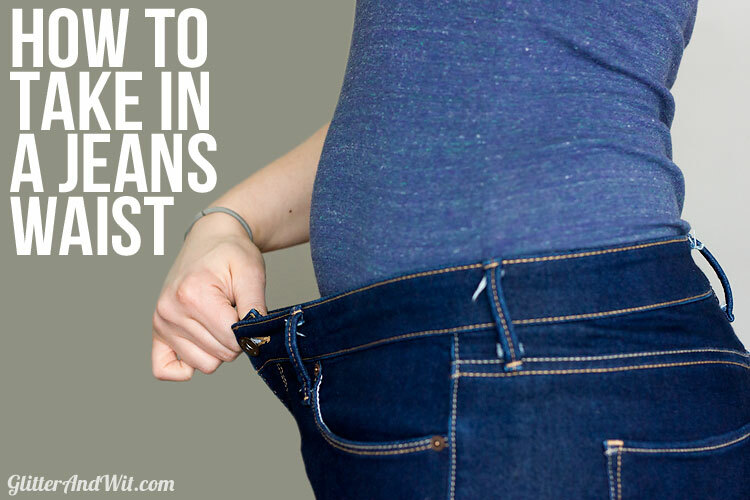 The freezer paper will not only give the fabric a firm, paper-like shape – but it will also help protect the fabric from water drippings. And there you have it! 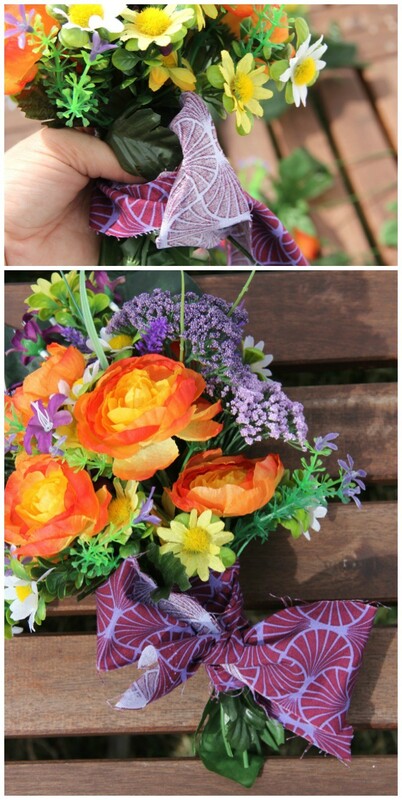 2 ways to use scrap fabric to help make your bouquet of flowers more special.